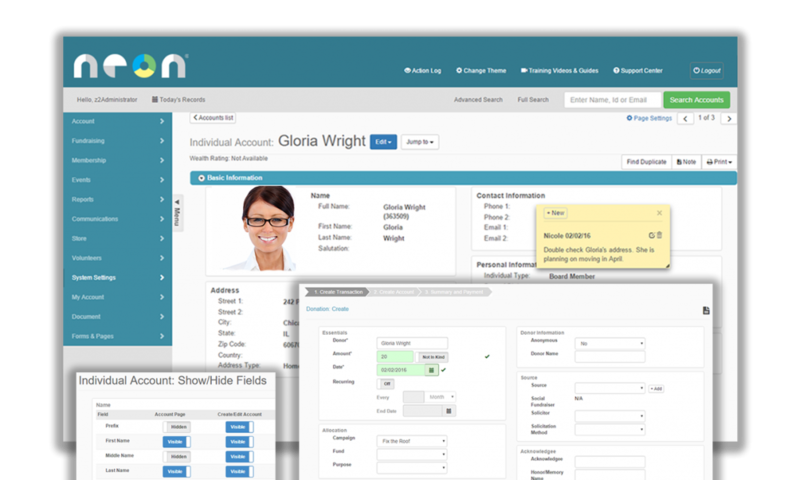 Neon takes you beyond just tracking donor data and helps you track relationships. All the information you need, all in one place. 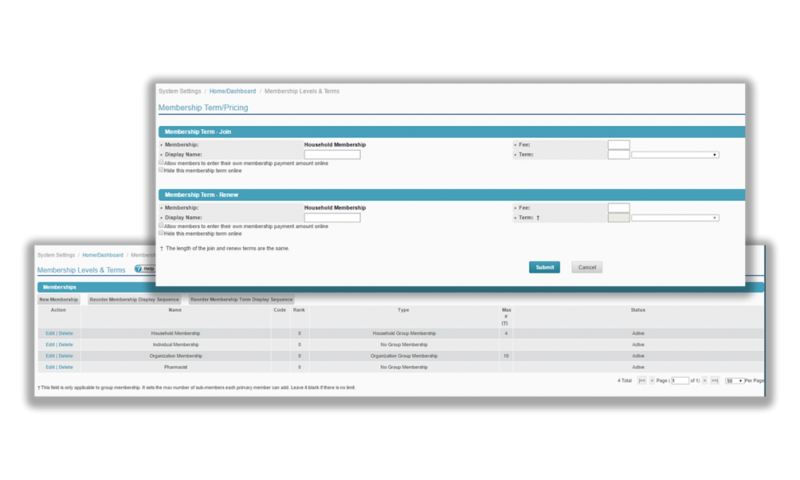 Create membership terms that work best for your organization — either on a rolling or calendar basis. 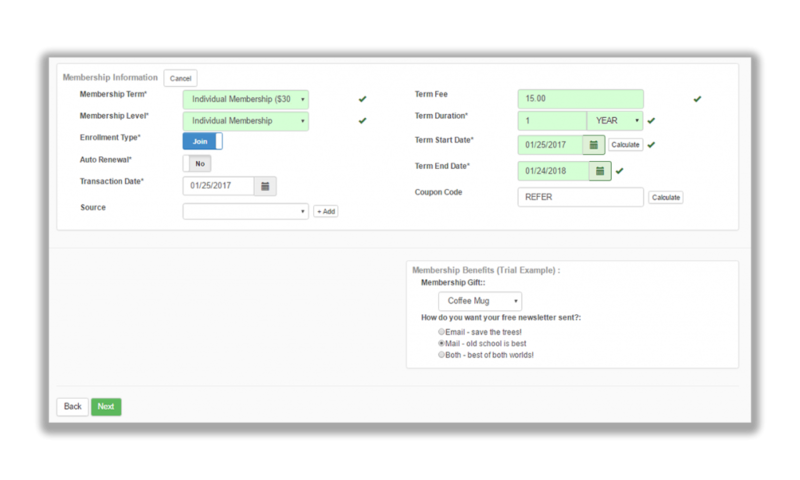 Create different fees for every type of membership and override any pricing with on-the-fly adjustments — including discounts, donations, and complimentary memberships. 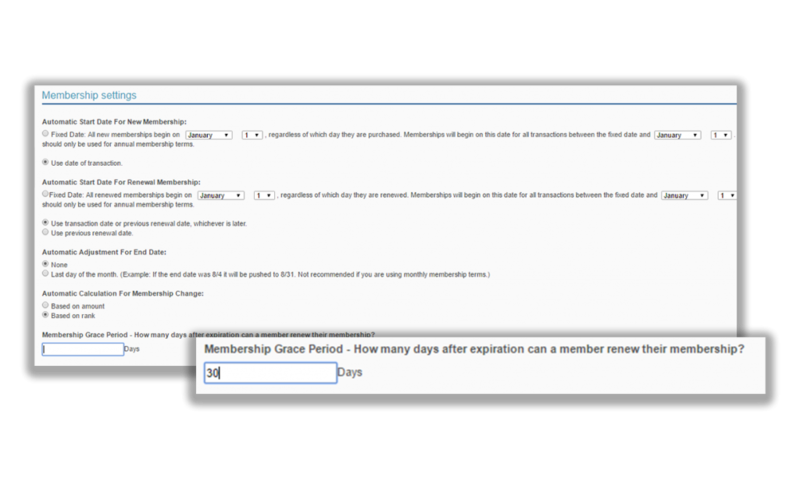 Set up a grace period allowing your members to renew their membership within a certain period.